The details are pretty thin on the ground and are really just a couple of sentences. About half way through the last century (judging by the clothes), the Cooper family moved into a new home somewhere in Texas. They took a photograph to mark this occasion and this thing appeared in the left of the frame upon development. Aaaaand that’s it. The original snap has been cropped, which explains why the family is now not centred, as one would expect them to be. However, there is some degree of vignetting, which points towards the photograph being uncropped. Hmmm. Another possibility is that a doll or something was being dangled in front of the camera to make sure the boys looked into the lens, but would anyone really let an object into the frame so much? Surely it’d be just as easy to dangle the doll above the lens. Whatever the truth behind this photograph, it sure is an intriguing image. 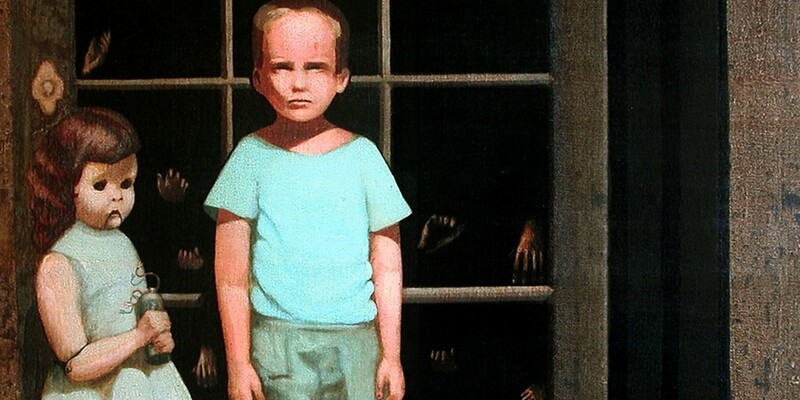 This is one of Britain’s most notorious poltergeist cases. It was pretty well-documented and quite public, with a range of people experiencing the peculiar goings-on in the Hodgson household. There was all kinds of phenomena reported and witnessed by the family, neighbours, police, journalists and investigators in 1977 and 1978. Furniture would move around, seemingly without the aid of human hands; knocking sounds were heard, the sources of which were never found; people were allegedly thrown into the air; Janet was seen levitating above her bed—witnessed by a person outside the house through a window; electrical equipment broke down, with batteries draining inexplicably; teleportation; the list is almost endless. One of the strangest things about the Enfield case is that the ‘thing’ behind it all seemed to be sentient. In fact, it could use knocks to communicate and audio recordings exist of it ‘speaking through’ Janet with a voice most incongruous to an 11-year-old girl. The voice identified itself as a previous occupant of the house: Bill Wilkins, an old man who had died of a brain haemorrhage in a chair downstairs. This Georgian and Federal style building was constructed by Joshua Ward, a wealthy merchant sea captain, in the late 1780s on the remaining foundations of former sheriff George Corwin’s house on Washington Street in Salem, Massachusetts. Corwin was a bloody figure whose zeal added to the unfortunate events surrounding Salem in the late 1600s. Nicknamed ‘The Strangler’ after his preferred torture (which included tying his prone victims’ necks to their ankles until the blood ran from their noses), he is said to have been responsible for many of the ‘witches’’ deaths, including that of Giles Corey who was crushed to death by placing heavy stones on his chest in order to extract a confession. Legend states that just before he died, Corey cursed the sheriff and all sheriffs that follow in his wake, for Corwin’s despicable acts. It should be noted here that every sheriff since Corey uttered his curse died while in office or had been “forced out of his post as the result of a heart or blood ailment.” Corwin himself died of a heart attack in 1696, only about four years after the end of the trials. By the time of his death, Corwin was so despised that his family had to bury him in the cellar of their house to avoid desecration of the corpse by the public. In the early 1980s Carlson Realty bought the House with the intention of turning it into their headquarters. After moving in, a realtor by the name of Dale Lewinski began the task of taking photographs of the staff members to add to a welcome display. Lewinski used a Polaroid camera to snap the head-and-shoulders, passport-style pictures. It was the photograph of a colleague by the name of Lorraine St. Peter that caused a stir. The Polaroid was developed and, instead of showing St. Peter, it appeared to depict a frightening image: a strange, black-haired, feminine figure. St. Peter was nowhere to be seen on the snap (the photograph has, apparently, not been cropped at all; St. Peter has been entirely replaced by the ‘apparition’). St. Peter was “both genuinely frightened and embarrassed by the picture.” Other paranormal occurrences reported within the Joshua Ward House include aportation (objects moving of their own accord), candles that leap from their holders and subsequently melt, candles that are found bent into ‘S’ shapes, alarms that go off by themselves, phantom strangulations and the sightings of a myriad spirits including an elderly-looking spirit that sits by a fireplace. One room in particular seems to be more haunted than the rest. An employee would ‘lock her office door nightly only to return in the morning to find books and papers thrown across the floor, the wastebasket upside down and lamp shades askew.’ It is truly a bizarre photograph, certainly containing a degree of menace and so starkly strange as to create fright in the onlooker, especially upon first viewing. The Elisa Lam mystery stands out for a few reasons. Firstly, this is no centuries-old fireside tale with scant photographic evidence and super-dodgy sources. Secondly, the manner of her death has been debated furiously in some corners of the internet, with it appearing almost like a locked-door mystery. Finally, what happened with Lam’s body was truly the stuff of nightmares. Elisa Lam was a 21-year-old tourist from Canada. On the 26th of January, 2013, the student checked into the 600-room Cecil Hotel in Los Angeles by herself. Five days later she was reported missing by her parents after her daily phone calls home stopped. About a month after these events, the Hotel’s management team began to hear reports of problems with the rooms’ supply of water. Complaints included erratic drops in pressure, unusual colouration, little more than a trickle available and “a very funny, sweet, disgusting taste.” to the water when drunk. Investigation of these reports by the maintenance staff uncovered the unthinkable in one of the Hotel’s rooftop water tanks: it was Lam’s corpse. Guests had “brushed their teeth, bathed and drank with water from [the tank] for as long as 19 days” while Lam’s decaying body floated about in the water—became the water. So what was she doing in the water tank? The first explanation heard at the time was suicide but, almost immediately, questions arose that seemed at odds with this: how did Lam get, undetected, onto a roof that was “barricaded throughout” and the area fitted with an alarm and only accessible to employees? if Elisa Lam committed suicide how could she possibly climb into one and close the (apparently heavy) lid behind her? how did she manage to drown herself when nothing to hold her down was found with her? why did she have no clothes on? Media photography revealed that the water tanks were so tall that the fire crews trying to release her body needed ladders to access the tank. In the end, the death was ruled to be an accidental one, by drowning. Her body tested negative for drugs and there was no sign of physical trauma to it. The LA County Coroner’s office listed her suffering from bipolar disorder as ‘significant’, but it seems that no further details regarding this ‘significance’ have come to light. 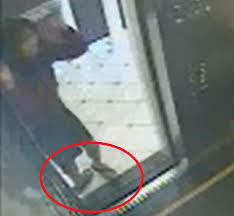 Just before Lam died, the Hotel’s security camera captured images of her. The footage shows Lam entering the lift and pressing a lot of buttons before staring closely at her selection. She then seems to huddle in the corner, as if wary of someone looking for her, before peering cautiously into the corridor. This sort of peculiar behaviour goes on for a while, with the lift door remaining open the whole time. Eventually, she makes her way back into the corridor before gesticulating as if speaking to someone. At 2:29 there seems to be someone else’s foot slightly in frame that Lam then steps over, and the movements of her fingers and feet are very strange. Then the lift doors close and the video ends. The intriguing story of Number Sixteen, Montpelier Road was first brought to the nation’s attention by the late, great ghost hunter Andrew Green. Back in 1944, as a boy, Green visited the house with his father, who was a council housing officer. Number Sixteen stood in the West London suburban district of Ealing, empty and unloved. The city at that time was no stranger to vacant and run-down houses—but this house was different. Even before the War the house had stood empty; for 10 years, in fact. The reason why nobody would live there was a grisly and perplexing one: In 1934, a nursemaid had thrown herself out of the tower’s top window, plummeting some 70 feet to the garden below—but not before she had thrown her young ward off first. Both had died. (Green says that his mother, a nurse, actually attended the aftermath of this grim event and that, while there, she saw spectral footprints appear in grass, as if an invisible person was walking about.) This was not the first tragic death to occur at the house, either. Forty-seven years earlier, a 12-year-old girl named Anne Hinchfield had also leapt to her death from the same room in the same tower. And it doesn’t stop there, because Green goes on to tell us that twenty suicides had all taken place at Number Sixteen—the hub of death being its strange tower. By the time of Green’s visit, the rooms of Number Sixteen were being used by Ealing Town Council as storage spaces for goods that had been saved from bomb-damaged properties nearby. Workmen were sent in to repair the house and generally fix it up, but a disgusting, sulphur-like smell, the unexplained disappearance of tools, and an oppressive atmosphere had them leaving after only a few hours; and subsequent crews were equally as objectionable. Number Sixteen’s infamy began to grow. The knowledge of all of this must have only sparked Green’s interest further as, when he found the ladder that led up to the tower’s top floor, intrepidly, he decided to take a look. He climbed the rungs, he tells us, helped—feeling something gripping him about the waist and aiding his ascent. At the top, an extraordinary view of the locale presented itself. Then, as the boy looked out across London’s roofs, he heard a curious voice in his head. “Have a look in the garden,” it said. “Walk over to the parapet.” Green obeyed. He wandered past strange symbols that were carved into the brickwork around him and approached the parapet’s edge. “It’s only 12 inches down to the lawn.” the voice continued. “You won’t hurt yourself.” Green sat down on the parapet’s edge and prepared to jump, but before he could launch himself into the air, his father’s hands dragged him backwards to safety. In the afternoon, as he was leaving, he took a final photograph of the house. The building was locked up and empty at the time. 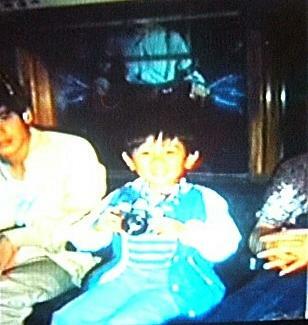 This is the photograph above. 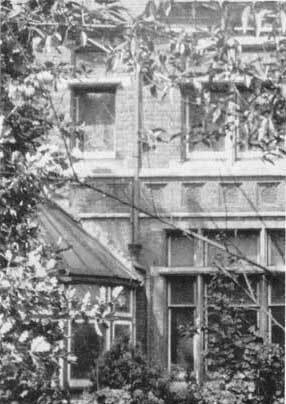 Some viewers insist that they can make out the ghostly image of a young girl in Victorian dress in one of the windows. By the 1950s, the house’s interior had been altered to accommodate the inclusion fifteen flats. Some of the occupants still complained of strange goings-on: mostly phantom footsteps and the re-emergence of that bizarre, sulphurous stench every month or so. This is a long story with lots of twists and turns so I’ll just try to whet your appetite with the basic details. Located off Nova Scotia, Oak Island is a 140-acre, unremarkable “chunk of dirt”. Unremarkable, that is, except for the so-called ‘money pit’—the truth of which, six lives have been lost and multiple fortunes spent in its search. Even more startling is that nobody actually knows what’s down there. Is it treasure? Is it the Holy Grail? Is it some kind of Viking thing? Is it Marie Antoinette’s jewels? Is it something to do with Freemasonry? It all began in 1795 when a young man named Daniel McGinnis found a filled-in pit by an oak tree on the Island. He returned with two friends and they set about excavating the pit. Perhaps they thought they had found Captain William Kidd’s fabled treasure hoard—after all, stories that pirate fortunes had been buried on islands like this one had been around for hundreds of years. Also, a variety of clues were dotted the Island including six boulders arranged in the shape of a cross.Anyway, after only a depth of two feet the trio hit a floor made up of flagstones. Then, further down, they found a platform of oak logs. They noted that the pit’s sides were still scarred with tool marks, confirming that it had been dug by human hand. Shortly after that they were forced to give up. Word got around and, later, a company was formed and went to work in 1803. At a depth of 30 feet they too hit an oak floor, then layers of charcoal, stones, and putty. 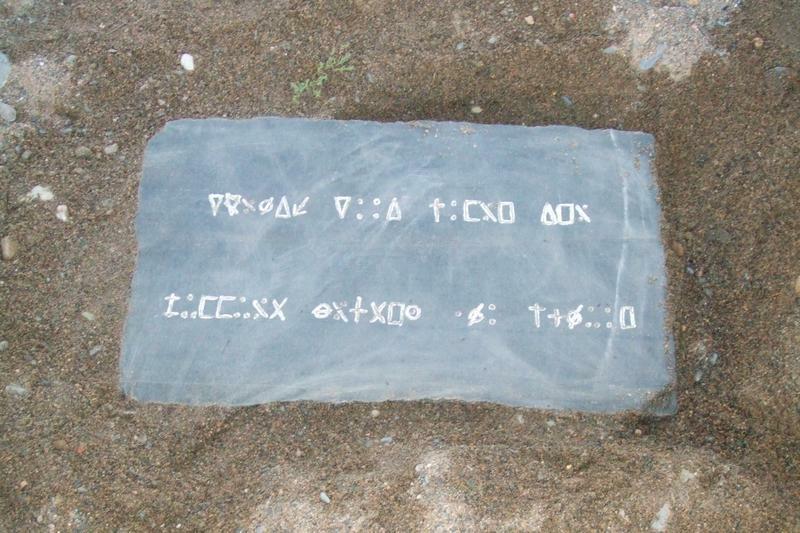 Eventually, at around 80 feet down, a large flat stone with strange carvings on it was discovered. 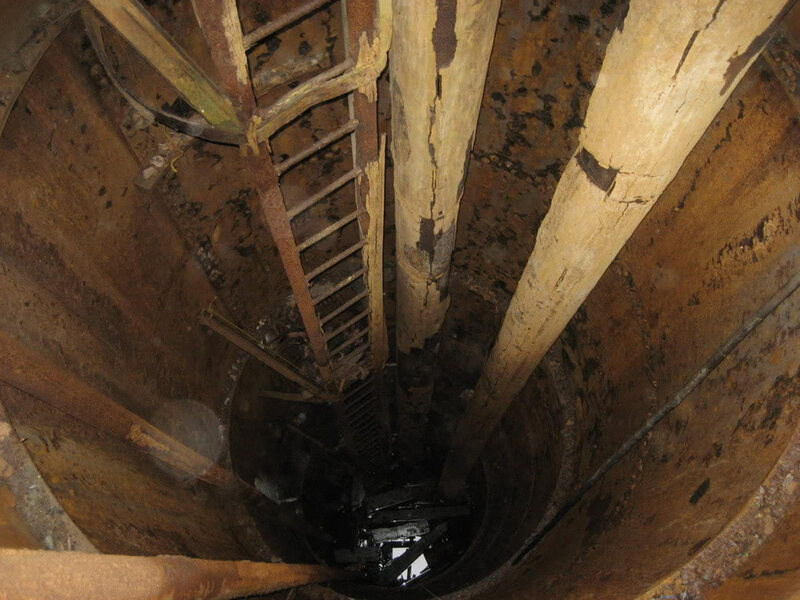 Just as the crew was convinced they were about to break into a ‘treasure room’ the shaft flooded and kept flooding, forcing them to abandon the project. The year 1849 saw another attempt to reach the bottom of the money pit. This one went further than ever before, using a drill to take a sample of what lay below the flooded section. It returned with traces of spruce, oak, clay and...gold. The flood water seemed to be tidal, so it was speculated that whoever had dug the pit in the first place had linked it to the sea to stop the contents being recovered. In confirmation, this dig also discovered that one of the beaches on the island was actually man-made, and underneath it ran five tunnels that linked up and probably connected with the money pit in order to flood it. Sadly, this crew ran out of money and the project was once again abandoned. About a decade later, steam-powered pumps were brought in to drain the shaft. This time, the crew actually found the flood tunnel, but lost a colleague when he was scalded to death by an exploding boiler. The next century saw many more attempts, but none were successful and, apart from uncovering the possible existence of a cement vault somewhere down there, they brought about another worker’s death. Tragedy struck again in 1959 when four more people died—this time due to carbon monoxide fumes from a gasoline pump that overcome them in one of the shafts. Another attempt in 1964 failed. 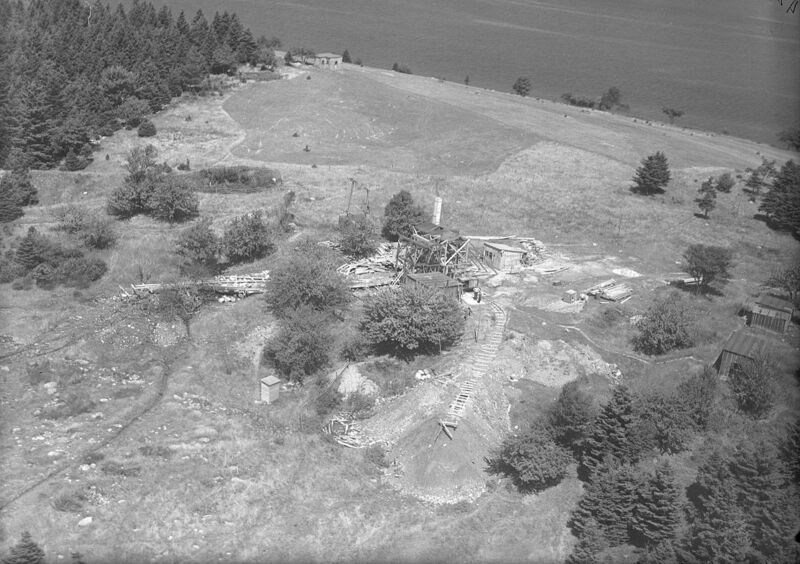 By now, the Island had become riddled with shafts and tunnels, but still the mystery kept tantalising the men who tried to figure it out: especially so when a video camera was snaked down one borehole and recorded “an image that looked like chests and a human hand, severed at the wrist.” Today, I think the excavations have stopped, and portions of it are owned by different people, making the legal wrangling difficult. There are also tours of the Island. This is another striking photograph. 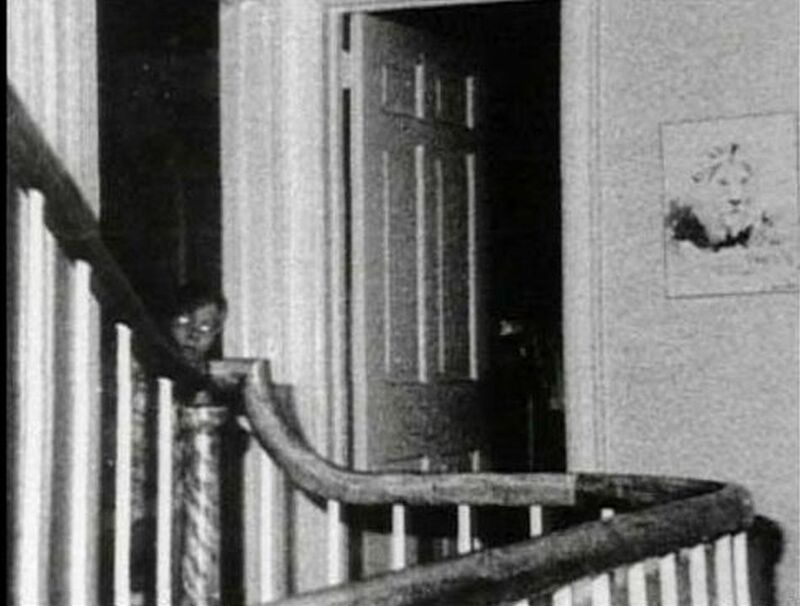 Some say the young-looking figure peeking over the bannister is a demon with glowing eyes, others that it bears an uncanny resemblance to one of the young DeFeo boys that was murdered in the house by Ronald Junior. After the story of the Lutz Family’s experiences of the Amityville house broke to the public an investigation was led by “infamous demonologists” Ed and Lorraine Warren in 1976. Photographer Gene Campbell set up a camera on the second floor to automatically take pictures at certain intervals. Amongst many uninteresting exposures, this one stood out. In general, there is a huge amount of skepticism surrounding the Amityville saga. 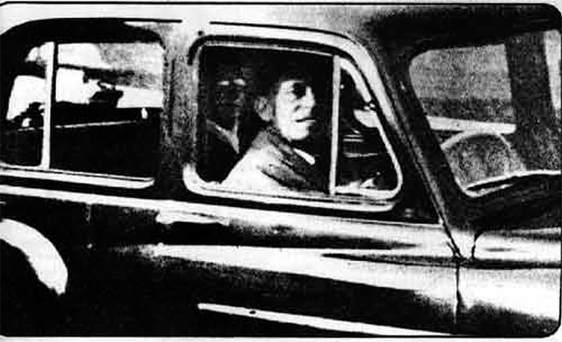 For instance, some have shown that the figure in this picture resembles one of the Warren’s investigators, Paul Bartz. They are certainly wearing similar shirts, but to me the match isn’t perfect, so who knows? SHC is a weird one, and, as far as I know, it remains totally unexplained*. There have been hundreds of cases reported, most with similarities. Usually, the victim’s torso has burned away entirely, with only a small area of charring to the surroundings. Often, limbs also remain, scorched at the end but intact otherwise. Just a couple of cases: In 1986 retired firefighter George Mott’s remains were discovered in his New York apartment. According to some sources, all that was left of him was “a leg, a shrunken skull and pieces of his rib cage.” Mary Hardy Reeser spontaneously combusted while sitting in a chair in her Florida home. Upon discovery, all that remained was the burned seat springs, some bones, a shrunken skull and one foot that was still wearing its slipper. Again, the burning was localised. The story is: “This picture was taken of a nurse’s viewing monitor. 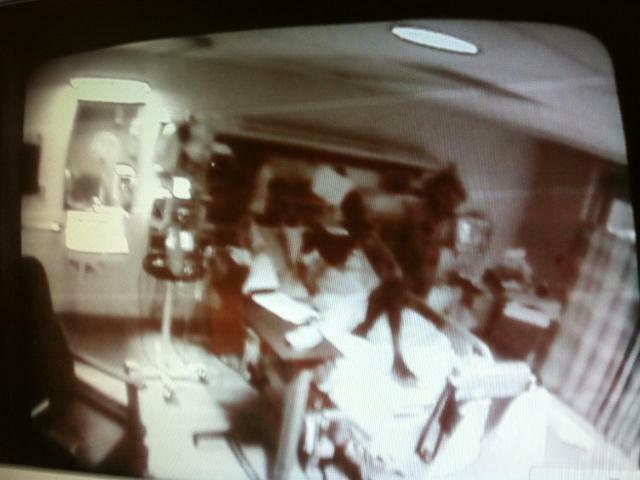 On the monitor, this black figure appeared standing on top of the patient who was lying in the bed. The patient died within a few hours of this figure appearing.” A startling photograph, but a mundane explanation for this one. The ‘demon’s’ legs are actually the patient’s right leg bent at the knee, the rest is a combination of the bed’s left-hand rail and some medical equipment above and behind the bed. Three years ago, a weird thing turned up on the sea bed off Sweden. Ocean X, a professional wreck-location and diving company found it using sonar. It is unusually circular in shape with curious grooves in its surface and appears to be on some sort of cleared section of 'runway'. All sorts of explanations have been put forward for it. 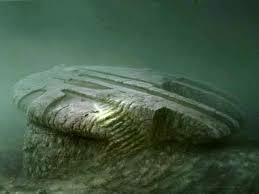 Some claim it is a sunken alien spacecraft, while others have more rational ideas, saying it could be “a World War Two anti-submarine device, a battleship gun turret [or] sediment dropped by a fishing trawler.” It could also be a perfectly natural, if unusual, formation of rock. But that kinda takes the fun out of it. Others like to point out its similarity to the Millennium Falcon. Since the 1970s, weird stuff has happened at this toy store. The more common strange events involve staff hearing their names whispered, cold breezes and objects moving of their own accord. Taps would turn on by themselves in the women's bathroom, and many of the store’s female employees experienced something unseen playing with their hair. 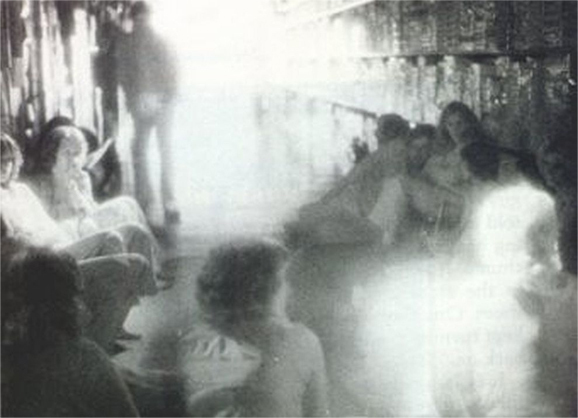 The photograph above was taken with an “infrared sensitive camera” during a séance at the store during the filming of a TV show documenting the haunting. The single standing figure at the back remains unidentified, and is strangely translucent in places. 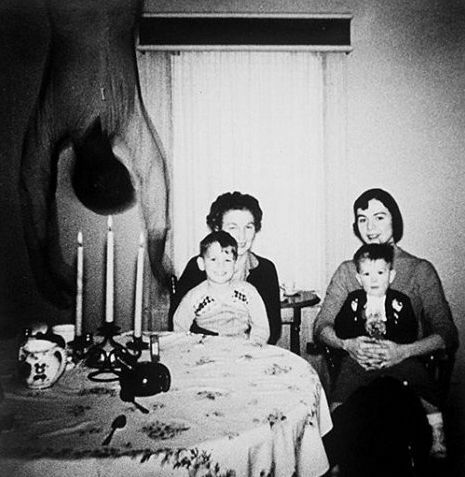 Nobody present remembered seeing anyone standing during the séance, and other cameras shooting the same view all failed to capture the figure. The cause of the paranormal mischief is supposedly Johnny Johnson, a Scandinavian immigrant who used to work the old farm that the store has been built upon. In 1884, while chopping wood, Johnny accidentally struck himself with the axe and bled to death alone on the site. Most of the dead in Tombstone’s Boot Hill Graveyard died in a violent or sudden manner, so for those people that believe in ghosts, it comes as no surprise that weird stuff is often captured on film there. 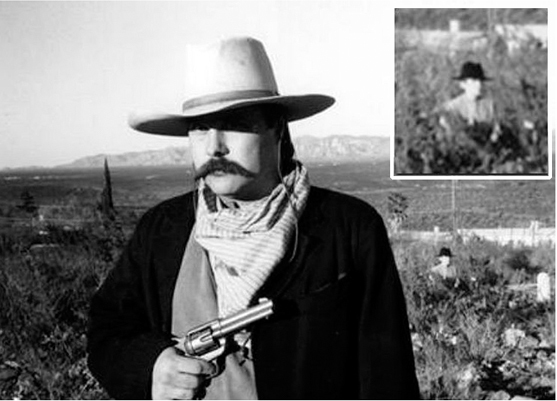 There have been quite a few ghost photographs snapped at Boot Hill, but the most infamous of them all is this early morning shot of Ike Clanton posing in cowboy garb in 1996. The photographer and the subject swear that there was nobody else present at the time, and, when attempting to recreate the photo by lining up two people in same positions the second figure’s legs were visible. Barbados, 1808. When the wealthy Chase family bought a vault it was already some eighty years old. The vault was partially underground and hewn out of the compacted coral that makes up much of the island’s foundations. Despite its age, it had only ever housed a single occupant: one Thomasina Goddard. The head of the Chase family, Colonel Thomas Chase, decided not to disturb Goddard—and she was soon saved from her lonely prostration when the young Mary-Anne Maria Chase joined her in lead-lined eternity. Two more deaths followed in the years after. 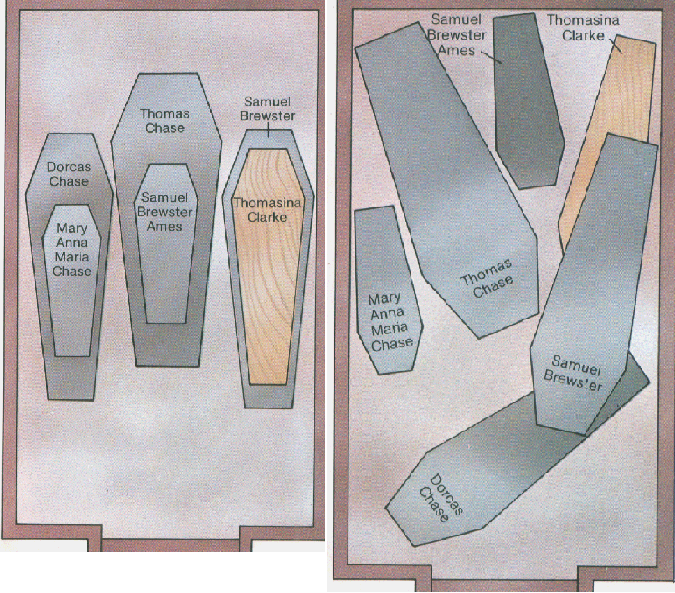 Upon reopening the for Thomas Chase’s body it was seen that, somehow, Dorcas’ coffin had moved from its original position and now rested against the far wall “standing on end, with its head downward”. Blaming vandals or thieves, the funeral party replaced the coffin, slid the marble slab back over the entrance and left. 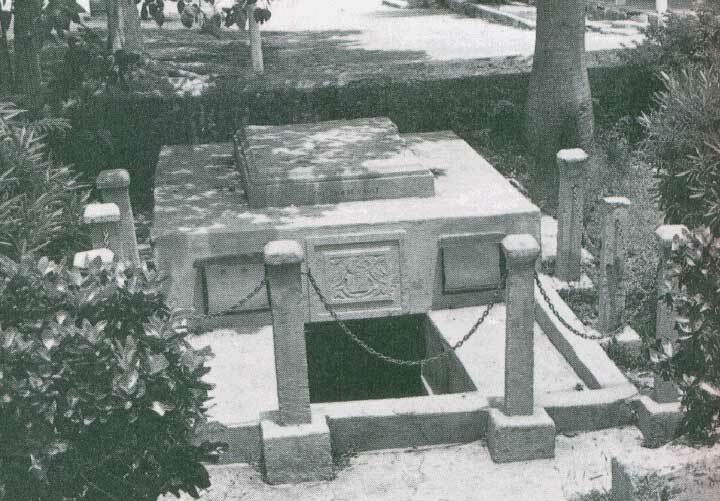 From then on, every time the vault was opened the contents would be in disarray—including Thomas Chase’s heavy casket which, according to sources, took eight men to lift. Four times over the following years would the marble slab be heaved aside and the sun’s light rush in to illuminate this weird danse macabre. By now, word had spread about the strange movements and members of the public and island officials began attending the burials in great numbers. It was decided that cement seals would be put in place to indicate tampering. Eight months passed and the Governor and a party of men decided to check out the crypt on their own. The seals were found to be intact and no evidence of foul play could be seen until, upon reopening, it was witnessed that once again the contents were in disarray. In fact, this time, it was a particularly chaotic scene that greeted the onlookers as ALL the contents had moved from their resting places. Mary-Anna’s coffin had come to rest against the left wall and a small chunk had been chipped off it, seemingly caused by the violence of its journey. The floor’s sandy coating was undisturbed and no sign of flooding or earthquake was apparent. After this incident the story ends abruptly. The bodies were moved to other burial sites and the Chase vault left empty. It still stands vacant to this day at Oistins on the island’s southern coast. 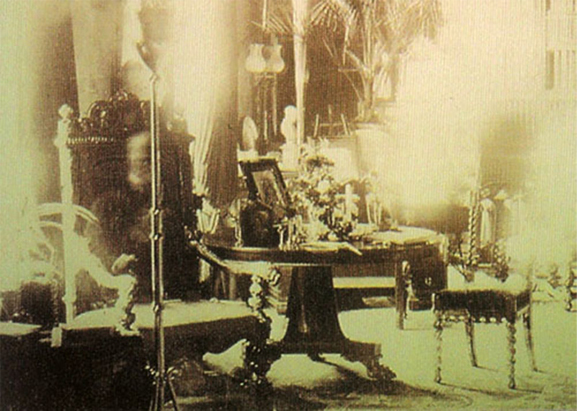 In another spooky link to Barbados, its one-time governor, Lord Combermere has his own paranormal connection. In 1891 a photographer set up a long exposure of Combermere’s library in Combermere Abbey. The picture seems to have caught a translucent image of the Lord as he reclines in a supposedly favoured chair. Not a problem: he could have nipped into and out of the shot, leaving behind a perfectly normal yet ghostly-looking visual relic of himself on the photograph. The only problem with that is he was being buried four miles away at the time, having been killed in an accident with a horse-drawn carriage a few days earlier (some sources say the accident was with one of London’s first motorised taxis). Sightings of the Brown Lady have been reported at Norfolk’s Raynham Hall since the early 18th century, one even by King George IV. Still, when in September 1936 Country Life magazine commissioned two photographers, Captain Provand and Mr. Indre Shira to visit the ancestral seat of the Townshends and document some of the Hall’s features, they got more than they bargained for. Towards the end of their photographic session, after viewing much of the historic house and gardens, the two men set up their camera to snap the impressive staircase. 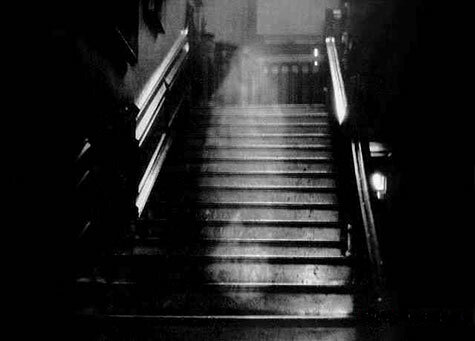 It was around 4pm and Provand had just taken an initial shot and was under the black cloth, adjusting the camera to take a second frame, when suddenly Shira insisted that he could see an apparition descending the staircase “a vapoury form gradually assuming the appearance of a woman” and he implored Provand to take the photograph, which, despite being unable to see anything unusual through the viewfinder, he did. Provand thought Shira had seen an optical illusion caused by a nearby mirror, or even the flash of the photograph he had taken shortly before and doubted Shira's claim of ghostly goings-on. Shira challenged the Captain to accept a £5 bet on the matter. 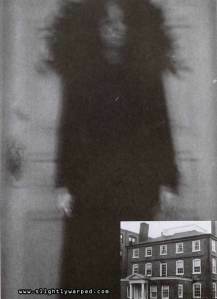 Upon returning to their London studio and enlisting an independent witness they developed their plates and were astounded to discover that they had indeed caught the Brown Lady of Raynham Hall on film. The Brown Lady’s story reaches back two hundred years. Thirteen years after they had married, Lord and Lady Townshend were parted when Lady Dorothy Townshend (née Walpole, daughter of Robert Walpole, the first Prime Minister of Great Britain), supposedly passed away. Before Lady Dorothy’s death, a rift between the couple had been opened when she, it is said, became engaged in an affair with the rakish Philip Wharton. Upon learning of this supposed betrayal Lord Townshend locked his wife in her rooms at Raynham Hall, forbidding her even to see her own children until, on the 29th of March, 1726 she expired from smallpox. Myth hints that her death may actually have been caused by falling (or perhaps even being pushed) down the great staircase. The legend goes deeper, as some say that Dorothy’s funeral was an elaborately staged affair and that she was still living, locked up in a secret room in the house. Accounts of Dorothy’s spectre, dressed in brown brocade and wandering the Hall, have been reported throughout the centuries. 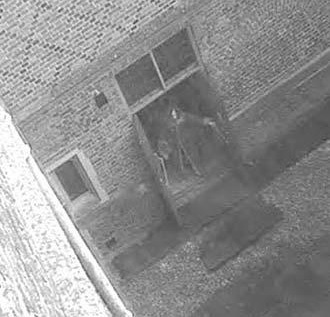 Sceptics might argue that it is revealing that no spectral activity has been reported at the Hall since the photograph was taken. In the December of 1980 (I think), 19-year-old, Jean Hilliard was out driving in northwestern Minnesota when her car slid off the road. It was bitterly cold weather and the engine refused to restart. Hilliard decided to walk to Wally Nelson’s home, which lay two miles away. She never made it, collapsing a handful of paces from the front door. Early next morning, her body was found. 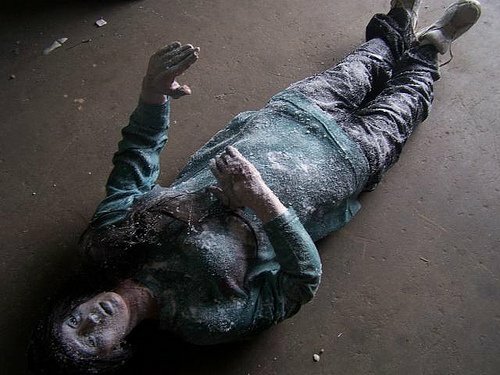 She was literally frozen stiff. Within the hour she was taken to Fosston Municipal Hospital. Doctors couldn’t penetrate her skin with needles and her body temperature was so low it didn’t even show up on thermometers. Even her eyes were frozen solid and wouldn’t react to light. Amazingly, after hours of slowly being warmed up by heating pads, Hilliard began to revive. After three days, she could move her legs again. After a month and a half in hospital, Hilliard was discharged. She has reported no ill effects at all since then, according to reports. SS Watertown's Floating Faces - Explained? At the end of 1924, an oil tanker called the SS Watertown sailed from California toward the Panama Canal en route to New Orleans and New York. Although the crew didn’t know it, the tanker’s name would end up being linked to one of the most curious and spooky seafaring legends since the Marie Celeste. The voyage was all going as expected until two of the crew, James Courtney and Michael Meehan, were ordered to go and clean a cargo tank down in the ship’s hold. Somehow, fumes overcame both men and they died before help could reach them. Their deaths were ruled accidental. On the 4th of December, the Watertown’s Captain Keith Tracy, ordered the two dead men to be buried at sea, their bodies being consigned to the deep after the appropriate service was held. But that wasn’t the last the crew would see of the pair for, the very next day, “the entire ship was thrown into an uproar” when the first mate reported seeing Courtney’s and Meehan’s face in the waters off the port side of the ship. Reportedly, the two apparitions could be seen for about ten seconds, wordlessly bobbing about in the Pacific’s choppy waters before dissipating into nothingness. Similar reports from other crew members continued over the following days, and were said to be consistent and corroborated. It seems as though Courtney and Meehan couldn’t leave the Watertown be. When the ship arrived in New Orleans, the company that owned it, Cities Service, listened to the Captain’s curious tale and suggested that he try to photograph the faces. When the SS Watertown left to continue its journey, the faces of Courtney and Meehan reappeared as they had done previously. 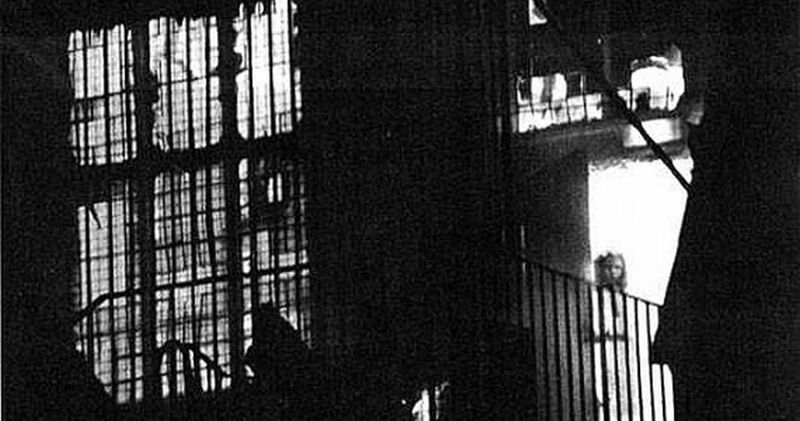 Tracy (or another crew member) managed to take six photographs of the spooky visions. The camera and film were then locked away in the ship’s safe. Tracy handed the unprocessed film over to the company’s New York office who had it developed. Nothing untoward showed up on five of the six exposures. 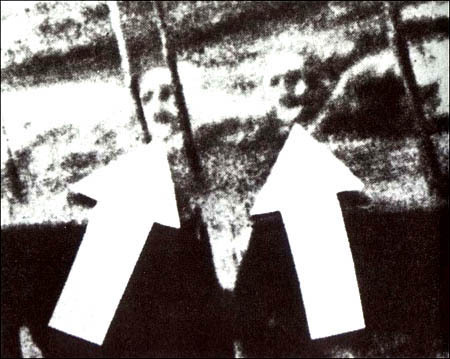 The sixth would become one of the most reprinted ghost photographs in the world (and, I’d like to add here, one of the iconic images that scared the pants off me as a child) for it seemed to have captured the eerie, sunken features of two men in the water, “remarkably clear, and recognized by many who knew the men in life”—as Courtney and Meehan. The ancient English Domesday town of Wem can trace its roots all the way back to Saxon times, but it is a more recent event that has catapulted the place into the conscious of the modern, international ghost hunter. In late 1995, the town hall caught fire and burned down in spite of the best efforts of sixty fire-fighters. During the event a local man named Tony O'Rahilly snapped a photograph of the blaze from across the road. At the time, nobody observed anything strange—it was only later, upon the development of the film, that O’Rahilly discovered a curious thing: a young girl appeared to be standing calmly in the doorway of the blazing town hall's fire escape. The local legend claims that the girl in the photograph is Jane Churm, a youngster who was alleged to have started the Great Fire of Wem in 1677 which devastated much of the town. She apparently did so by accidentally setting light to the thatched roof of her house with a candle and, through guilt, is said to manifest in various places around town. Workmen claimed to see an apparition when working in the hall after the fire had been extinguished. The winding canals of Mexico City’s ancient Xochimilco district harbour a disturbing and exceptional locale. Eighteen miles from the city’s centre lies a small island on Teshuilo Lake where a spectacle can be seen that is so unique and macabre it is quickly gaining worldwide infamy. Amid the overgrown flora that populates the little island, thousands of children’s dolls cling to branches, tree trunks and other unusual perches—all in varying states of decay. Their sightless eyes and lifeless limbs sway silently in the gentle Aztecan breezes until the veil of night falls upon the land and, as the local residents claim, the dolls become animated by the spirits of the dead and beckon the unwary to a watery grave. Half a century ago, in the late 1950s, Don Julian Santana Barrera moved away from his wife and family and came to inhabit the island, which was then a lonely, uncultivated spot and seemingly perfect for Julian’s hermit-like requirements. But Julian would not find solitude for long for he began to claim that a child’s voice whispered to him in the night. It is said that in the 1920s, three young girls were playing on the island, only for one to drown, falling into the murky waters near a small pier. The neighbouring inhabitants claimed that the dead girl’s spirit still lingered on the island, unwilling or unable to sever itself from the corporeal world and find the peace that she sought. The island soon gained a degree of local infamy and few dared to visit it, especially at night when strange voices could be heard. With Julian’s arrival, the drowned girl’s spirit once again had someone to talk to and she asked him for offerings of dolls, not only so she might have something to play with but also to ward off the ancient, evil spirits that wandered these wetlands. Julian soon began to scour the area, searching the rubbish dumps and plucking any unwanted dolls from the flowing waters of the gloomy canals. For decades Julian made the place his home away from the living, tilling the earth and collecting dolls. But in 1990 the entire area was named a site of national heritage and the canals were cleared and cleaned up—soon water traffic once again passed by the island. 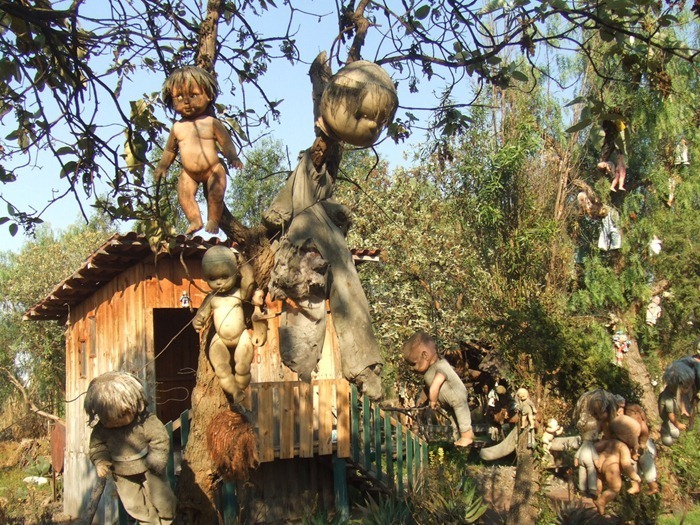 At first the people considered Julian to be something of a madman and the island was nicknamed La Isla de las Muñecas (The Island of Dolls), but then it seems Julian became regarded as harmless. People would donate dolls to him and more and more of them were hung from the branches and bushes. In 2001, while fishing with his nephew Anastasio, Julian said that what he called ‘mermaids’ had recently been calling out to him from the waters, urging him to join them. Anastasio left to tackle some errands—when he returned he discovered his uncle floating face-down in the canal near the small pier—in exact same spot where the girl had also drowned. Despite Julian’s passing the dolls remain to stare at the visitor with eerie, inexpressive eyes. That is if they have any eyes at all; many of them are headless, limbless and burnt, and all have been discoloured by the elements, in many cases creating even more unnatural and disturbing visions: a curious mixture of neglect and love that swing silently, forebodingly in the trees. Everywhere the visitor looks, mottled, blistered faces stare back. Even the flora and fauna have come to live with the island’s plastic denizens with plant-life sprouting from inside of them and exotic spiders spinning their webs inside mouths and eye sockets. In spite of their decay, the dolls are still said to become animated at night and move and whisper to travellers. Anastasio does not live on the island, but he claims that he himself has witnessed the dolls moving by themselves, turning their heads and twisting their limbs unnaturally. The straits of Malacca near Sumatra have long borne the passage of trading ships. Over the centuries, most of these merchantmen reached their destinations safely. However, the quiet peace was broken one day in June, 1947 when a forbidding SOS message drifted across the airwaves: “All officers including captain are dead lying in chartroom and bridge.” read the message. “Possibly whole crew dead." This was followed by some indecipherable Morse Code chatter, probably more SOS signals, and then one final grisly message... "I die." And then...silence. The macabre distress call was picked up by numerous ships and Dutch and British listening posts that, through triangulation, identified the vessel as the Dutch freighter SS Ourang Medan and located its approximate position within the straits of Malacca. 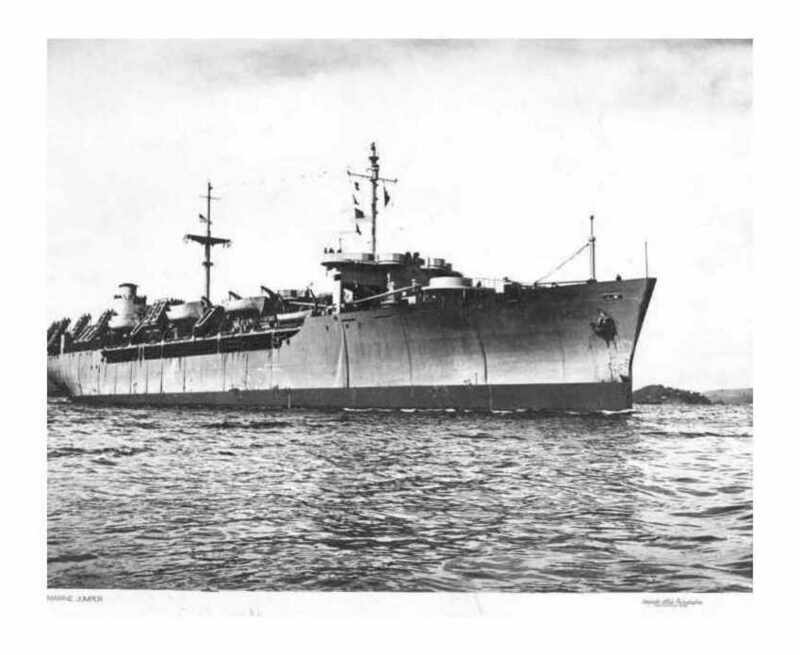 Of the two American merchant ships that heard the Ourang Medan’s grim message, the Silver Star (pictured above) was the nearest and she raced to the aid of the stricken vessel. Within a few hours, The Silver Star arrived upon a hushed sight. The calm sea gently lapped at the Ourang Medan’s stationary hull and the crew was nowhere to be seen above decks. The American ship hailed the Dutch ship with whistles, calls and hand signals but there was no response. Nothing on board the strange craft moved. A boarding party was quickly assembled and what they discovered was such an alarming sight that it has made the SS Ourang Medan into one of the strangest and disquieting nautical mysteries of all time—eclipsing even the Marie Celeste in macabre detail if not in infamy. The SOS message proved correct: every member of the Ourang Medan’s crew lay dead. The crew’s corpses lay scattered below deck. The captain laid dead on the bridge, his officers in the wheelhouse, chartroom and wardroom were all deceased too. More than this, their eyes were still open, faces upturned, some with outstretched arms and expressions of sheer terror upon their features. As a May 1952 report of the Proceedings of the Merchant Marine Council put it: “their frozen faces were upturned to the sun, the mouths were gaping open and the eyes staring…” The Silver Star’s boarding party noted that even the ship's dog was dead, its face locked in a tormented grimace that mirrored that of its masters. A trip to the communications room revealed the author of the SOS messages, also dead, his hand still on the Morse sending key, his eyes wide open and teeth bared. There was no sign of wounds or injuries on any of the bodies. The decision was made to tow the mysterious ship back to port but before they could get underway, smoke began emanating from somewhere below decks, probably the Number 4 hold. The boarding party hurriedly returned to The Silver Star and barely had time to cut the tow lines before the SS Ourang Medan exploded with such force that she “lifted herself from the water and swiftly sank”. To this day, the exact fate of the Ourang Medan and her crew remains a seemingly impenetrable mystery. Speculation has it that pirates killed the crew and sabotaged the ship, although this doesn’t explain the peculiar grimaces and lack of injuries on the corpses. Others have claimed that clouds of methane or other noxious natural gases could have bubbled up from fissures on the sea bed and engulfed the ship. Even more fantastical theories involving aliens and ghosts abound. Skepticism exists about the truthfulness of the entire story, suggesting perhaps that the ship may never have actually even existed, but what is certain is that while the Ourang Medan’s story is not the most well known, it refuses to disappear. It’s a common theme of old and new horror films alike: a possessed doll that seems to come to life and potters about committing creepy murders all over the darn place. In fact, more than a staple, the thing is a full-blown cliché nowadays, but did you know that the fictional likes of Chucky et al have their roots in many real-life stories? One such tale tells of a doll that survives to this day, a doll that you can even visit if you are so inclined, a doll that has a “terrifying reputation”. His name is Robert. Sometime in the final years of the nineteenth century, Thomas Otto and his family took ownership of a large Florida mansion in Key West. It was shortly after this that Robert first appeared, being gifted to the youngest child of the family: a boy whose name was Gene Otto. Some say the gift came from an unrecorded source, others say that a Bahamian or Haitian servant girl who had been mistreated at the family’s plantation gave it to Gene having cursed it beforehand in an act of vengeance. Cursed or not, Gene and Robert became almost inseparable. Robert is unique. No assembly-line toy here: he’s hand-made, stitched together by someone whose name has long since disappeared. He’s pretty big for a doll too, standing some forty inches high (that’s about one metre tall). It’s rather are faded now, but his face was once painted in the manner of a jester—something that seems to me to be a bit of a strange choice, considering his garb is that of an old-fashioned sailor. Perhaps the sailor’s outfit is a later addition. Pretty soon after Robert turned up, weird things began to take place. Often, when Gene was accused of mischief, like the occasions when his bedroom was found smashed up and the furniture overturned, he would blame Robert, insisting that it had been the doll that had done the damage. Of course, most children do this from time-to-time in an attempt to evade punishment, but Robert’s supposed antics soon became even weirder. And darker. At night, the Ottos could hear what they thought was the doll laughing—sometimes it would be a quiet sound, sometimes it would be “terrifying giggles”. Likewise, it was reported that it sounded as though the doll was actually moving through the house at varying speeds, going from room to room and up and down stairs and corridors. 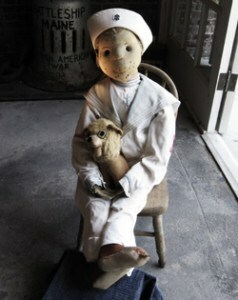 Apparently, neighbors would report seeing the doll moving from window to window when the house was known to be empty. More reports by a variety of guests spoke of the doll’s expression shifting on its own—even of it blinking. Gene himself would sometimes be found terrified and screaming in bed, with his room ransacked and furniture in disarray, crying that Robert had gone haywire. Robert, despite the weirdness, was an immovable fixture in Gene’s life. The young boy would sit for hours in his room talking to the doll. Sometimes the family would hear the doll answer (although this was, at first, put down to Gene changing his voice to mimic a reply). This behaviour went on for years until Gene had grown into an adult. Eventually, Gene married a woman by the name of Anne. Anne, like any normal person might do, decided that Robert and Gene should be separated a little and she insisted that the doll be placed in the attic. Eventually, a compromise was reached and Robert was given a seat on the top floor of the house, propped up in a chair next to a window out of which he seemed to peer. Local children swore they saw him move every now and then. Even after Gene’s death in 1974 Robert seemed to be the focus of strange goings-on. Footsteps would be heard coming from the attic where he had been moved to. A plumber was greatly unnerved when he heard what seemed to be Robert’s signature giggling. He turned to look for the cause of the noise, only to see that Robert had somehow moved across the room by himself. After Anne moved out, she leased the house to another family, the ten-year-old daughter of which woke one night, terrified, adamant that a doll was moving about and attacking her. A Solares Hill reporter named Malcolm Ross visited the house to see Robert for himself and he too had a strange experience. “At first when we walked through the door, the look on his face was like a little boy being punished. It was as if he was asking himself, ‘Who are these people in my room and what are they going to do to me?’” When he again glanced at the doll’s face its expression had changed to one of anger. 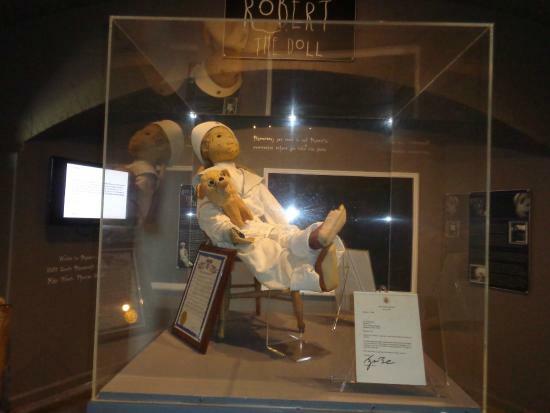 Once Anne died, the doll was removed from the home and installed in the East Martello Museum. Staff and visitors still report weird goings on around Robert and, bizarrely, it receives letters regularly.